A great blues rock album. Joining Jim are current Yardbird vocalist John Idan and Ray Majors (Mott/British Lions) along with former Strawb Rod Demick. If someone wrote a book about British blues-rock and failed to mention Jim McCarty, the book would have a gaping hole. McCarty was the Yardbirds’ original drummer, and failing to mention him would be like not mentioning Cream’s Ginger Baker or Led Zeppelin’s John Bonham. The Yardbirds weren’t strictly a blues-rock band; many of their songs favored a haunting, quasi-Gregorian outlook. But blues-rock was an important part of what they did, and McCarty’s blues-rock side dominates ‘Outside Woman Blues’. 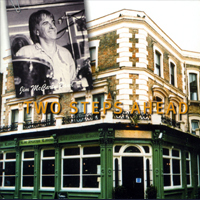 This 2002 release finds the drummer leading a quartet that is billed as the ‘Jim McCarty Band’.